GengisCon is 2 weeks away and I’ve been painting like mad to get everything finished. I’ve finished a couple big units so I mostly have smaller units left to paint. And one big unit left to assemble and paint. I also got my first test game in. I’ve played ~1 game with Orks in 8th edition so far so this was my 2nd and I learned a lot. A month or so I signed up for a 40k tournament at GengisCon. I signed up before the tournament rules were posted and started working on my army. The official rules were just posted and now I see the mistake. Battalion Detachment ONLY. No other detachment may be selected, and armies must be battle forged. Matched play rules will be in effect, including adjustments made in Chapter Approved. Beta matched play rules will also be in effect. Models must have 4 colors of paint, minimum. If you’ve been following my Instagram you might have seen that I’ve been working on Orks for the past few weeks. I got a squad of gretchin painted up as well as some Killa Kans. I’ll be posting pictures of those soon enough but I wanted to start with how I paint my Orks. One Nob with a kill saw, one with two power claws, and one with a Huge Choppa. My favorite Nob out of the bunch. I have him two power claws. 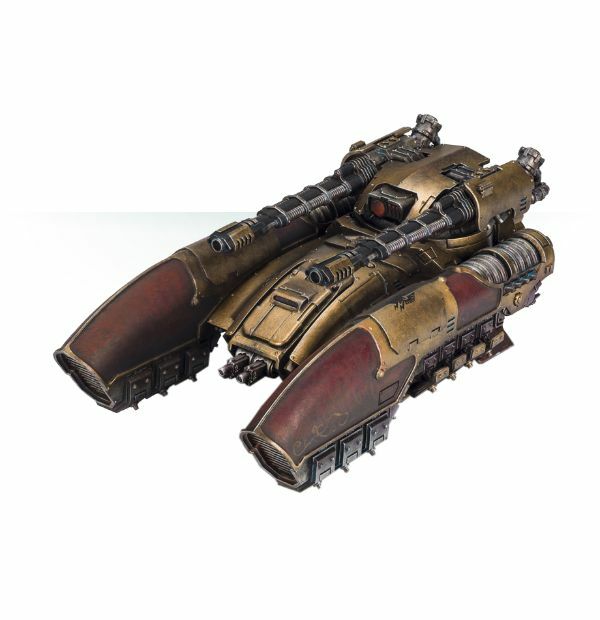 Doesn’t do anything in 8th edition but it looks cool. I call him Red Skull. It’s been a year & a half (technically 547 days) since I created my paint scheme for Imperial Fists. And I now have a fully painted 2,000 point army! I’ve only ever painted a full 2,000 points once before with my Nurgle Daemons. I’m pretty impressed I’ve been able to stay on track and get stuff painted. It’s helped to have an escalation league and also challenge myself to 30 days of painting. The flames on my Legion of the Damned painted with glazes. I’ve always been a big fan of edge highlighting. And when I was painting my Legion of the Damned I knew I could paint from red to yellow with multiple thin layers. But I wanted to try something new so I gave the Games Workshop glazes a try. Paint the flames Flash Gits Yellow. Pretty easy and the transition is very smooth. I really liked how easy they were to apply. I’ll have to try a few more glazes moving forward. I’ve been meaning to purchase some new 40k stuff. 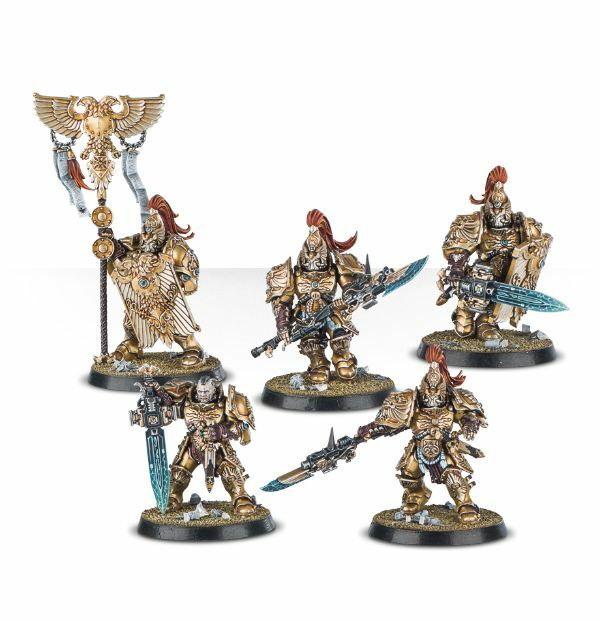 Especially those amazing new custodes models. But I already have so many models to paint. And I don’t want to buy stuff and then not paint it. I have a pretty limited budget so I want to make sure I don’t impulse buy any models. My painted Sector Imperialis bases. 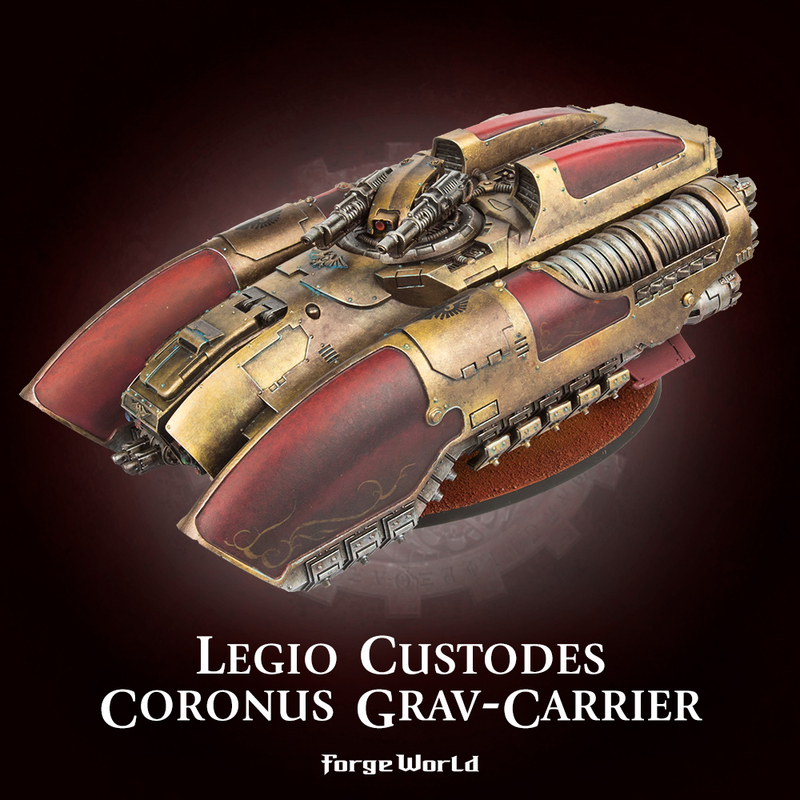 A few months ago Games Workshop released the Sector Imperialis bases. They come in all sorts of sizes and they look pretty darn good with a mixture of dirt & city scape.